The senators, including Murray, framed the issue in constitutional terms, saying public money must not be used to support overtly or implicitly faith-based education. Some senators oppose voucher programs and other choice-based funding mechanisms for students in K-12 education. How, though, do they square that position with their support for other programs that share the voucher model? These include Pell Grants and Head Start, among other publicly-funded educational services for students younger than five years old and older than 18 that may be provided by faith-based institutions. Across the nation, 34 colleges with “Bible” in their name, 21 seminaries, 18 rabbinical institutions and many other faith-based colleges or universities (including nine “Methodist,” five “Lutheran” and six “Catholic” named schools) received federal Pell Grant funding in 2014-15. That’s not a loan, that’s the federal government paying directly for that student’s education at the faith-based school of their choice. A voucher, in other words. 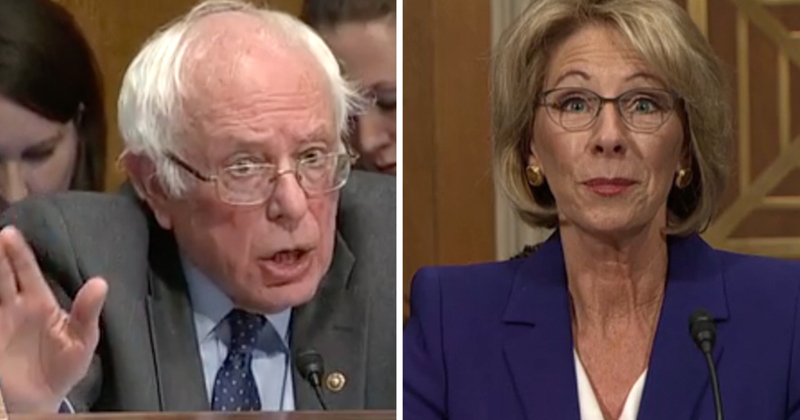 The senators voiced specific opposition to DeVos’s efforts to create an educational voucher system in Michigan that would have allowed students in Detroit (and elsewhere) to attend any school of their choice. This was portrayed as an unacceptable weakening of the wall between church and state. Again, though, these senators also asked her to commit to expanding Head Start and other early childhood educational services. 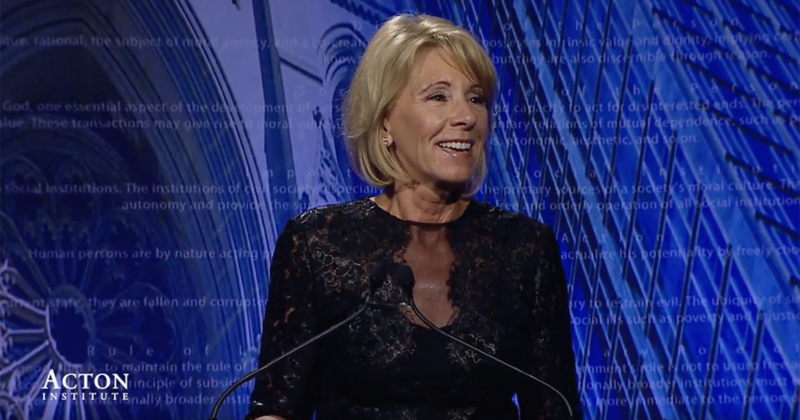 The reality that dozens of the Head Start centers in Detroit are operated by explicitly faith-based organizations and that the DeVos Department of Education would be increasing funding to them did not appear to raise constitutional concerns. If the senators are concerned about protecting low-income students from faith-based service providers who accept federal dollars, they have plenty to look at beyond education. These children often already benefit from health care vouchers (Medicaid) and food vouchers (Bridge Card, SNAP and WIC) that can be used at private and nonprofit providers, including those with religious affiliations. And the senators who expressed concern with educational voucher programs broadly support both Medicaid expansion and federal food aid expansion, without constitutional concerns about their use at Catholic hospitals and halal or kosher butchers. This of course raises the question whether there was some other factor truly in action as the senators grilled DeVos for hours about her support for “public education” and her advocacy for increased parental options that may take children out of traditional K-12 public schools. The National Education Association, which represents public school teachers, was the top donor to “outside groups” trying to influence voters in the 2016 election cycle, and its donations went overwhelmingly to Democrats. Whether this political self-interest or the Constitution was more influential in shaping the senators’ questions is left as an exercise for the reader.